¿Why is Costa Torpical of Granada so idela for campsite in winter? - In Costa Tropical of Granada, from december to february the medium temperature up to 20ºC and just a bit of rain (from just 80 liters in these 3 months). reasons that you can enjoy the winter in Costa Tropical of Granada. - Our campsite is open all year and we have special offers, of up to 70% discount for long stays, during the period September-June. 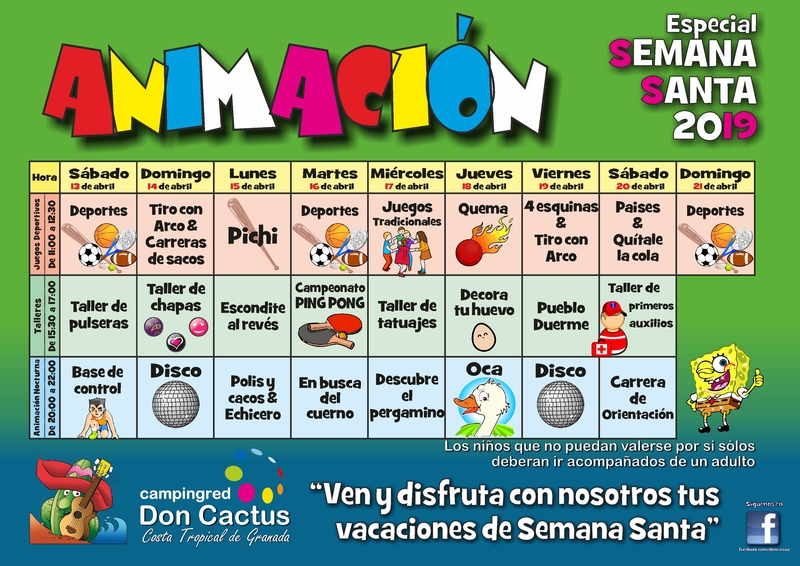 -You can to do some activities or excursion during you stay in the campsite Camping Don Cactus: visit the Sierra Nevada, Alhambra, Alpujarra, Motril, Salobreña, Alumuñecar, Nerja,..
- The beach of Carchuna you can enjoy also in winter. - Enjoys a few baths of the Sun in our enclosure of the swimming pool all the year round. In Camping Don Cactus we have spacious and comfortable plots where you can enjoy during your wintersun holidays in the Costa Tropical of Granada. All our pitches have drinking water and drainage for greater comfort during your vacation. You can also be always connected thanks to our free WIFI. Enjoy a wintersun on the Costa Tropical of Granada during the winter in our comfortable bungalows. Our bungalows have all the comforts of today to make your stay an unforgettable experience. Being located in the Costa Tropical of Granada, between the Costa del Sol of Malaga and the Costa de Almeria, you can visit and know important Andalusian cities such as Almeria and Granada, nearby towns of great charm with great historical, cultural and leisure offer such as Motril, Salobreña, Almuñécar, Marina del Este and Nerja. It is also the ideal opportunity to visit the famous Alpujarras and enter the different villages that make them up.